Crushed Hibiscus. – Stuff Phidelia writes. So last week I challenged myself to make one post a week and I am very determined to make it a reality. That being said, I am very excited to present to you the post for this week. *drumroll* It’s a short* story I wrote a few days ago and I hope you enjoy reading it as much as I enjoyed writing it. Please leave a comment, share and also, subscribe for email notifications each time there’s a post. Have a lovely week! *: One man’s flash fiction is another man’s short story is another man’s long story. Your earliest memory is of a rainy day in your father’s old house, with your father yelling loudly at you, almost as loud as the sound of the heavy rain outside. You don’t remember why he was yelling, he used to yell a lot. You have other memories of your father yelling, at you, at your sister, at your mother, at God. You remember other things about growing up in that house, especially the flower garden in the compound from which your landlady forbade you and your sister from plucking flowers. But you did anyway, and you remember plucking the bright red hibiscus flowers and placing them behind your ears and dancing happily because it made you feel pretty. 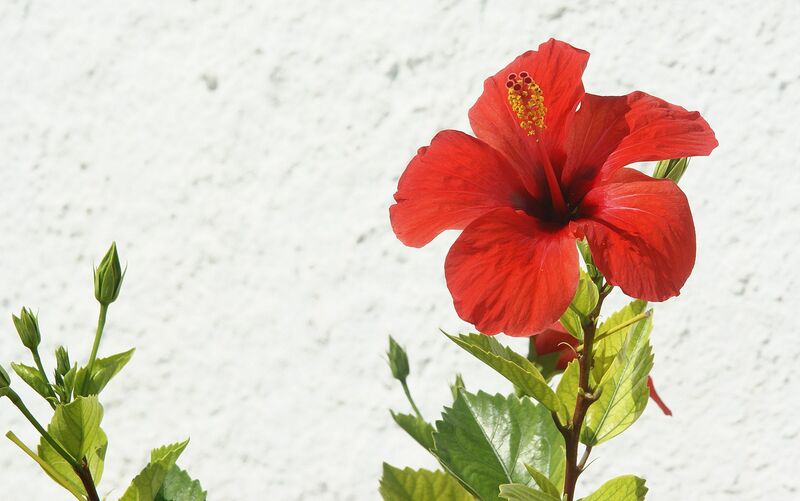 You remember the day the landlady caught you and your sister dancing in your verandah, hibiscus flowers placed firmly behind your ears, twirling around to the music in your souls, cares to the wind. She had called for your father immediately, and yelled at him, with the two of you standing by like criminals, heads bowed in fear. You remember the pain you felt when your father flogged you that day, and how you and your sister refused to cry, as if you made a silent resolve to not apologise for trying to find happiness in hibiscuses. As your father flogged your left palm continuously, you held the flowers in your right hand, squeezing them a little tighter each time the cane landed on your left palm. You held on to whatever happiness remained in the crushed hibiscus. When you had to throw it away the next day because it couldn’t survive being crushed, you finally cried. You were 10. The memories from after then are more vivid. Your mother fell sick and she became quieter than before, you found out that a person could go 3 days without speaking a word. Your father spent a lot of money on her treatment. Eventually, your father announced that you would be moving to a smaller house, he didn’t say the rent would be cheaper, but you understood. You were 16 then, and your sister 18. She no longer danced with you, she barely even spoke to you. Your only friends were your thoughts and daydreams, of leaving, of going someplace happy and just dancing. You remember very vividly the morning you heard your father yell again after a long period of quiet. You ran out of the kitchen where you were picking beans to the living room when you heard his raised voice. Your sister was sprawled on the floor, crying, your father standing over her and shouting down at her. Your mother stood in the doorway leading to the room, clinging to the doorframe for support, looking way older than her 44 years. She was pleading with your father in a weak voice to be calm, to not let the neighbours hear. Your father laughed then and said something about how the secret would swell up for them to see in a matter of months. He kicked your sister in her stomach then and she doubled up in pain and cried out. Your mother raised her voice then, for the first time since you could remember. She screamed at your father to stop, but he ignored her and kept raining insults at your sister. When he kicked her again, her eyes met your eyes from across the room, wet with tears, sad and pleading, begging you to help her, to take her back to the garden full of hibiscus flowers and dance with her. Without thinking, you started to move towards her, but your father yelled at you to take your mother inside and stay there. You started to cry, but you obeyed him and led your weak mother in. From the room, you heard your father telling your sister to go to the man who had put the secret in her. He came into the room, startling you, and asked you to show him your sister’s box. You pointed at it, he picked it up and walked out. You followed him and watched from the doorway as he told your sister that if she was old enough to get pregnant, she could leave his house. That was the last time you ever saw her. That night you dreamt of crushed hibiscuses. You were 17. You know you will never forget the afternoon, 6 months after your sister left, when a man and a woman showed up at your house, holding a tiny bundle. They were from the central hospital. You stood in the doorway as you listened to them explain how your sister had died at childbirth and her boyfriend had disappeared when they informed him. A cleaner who knew her from church had directed them to your house to drop the child. Your mother began to scream and cry and pull her hair. You stood fixed to the spot, too shocked to react. They stood up to leave and the woman held out the baby to your father who hadn’t said a word since they told him the news. He stared at her for a few seconds, stood up and walked to the door and out of the house. Your mother was still crying and trembling and the woman finally turned to you, begging you to take the child. You moved towards her, hands shaking and accepted the child from her. You looked into the sleeping child’s face, and saw your sister’s eyes, your mother’s flat nose and your father’s dark sparse hair scattered across the child’s head. On this child’s face you saw your family reunited. The child stirred in his sleep and something moved in your heart. You held the child tightly to your chest and closed your eyes, standing in the middle of the room. You made a promise then. You promised him that you would love him fiercely, and protect him in a way that you could never protect your sister. You promised to dance with him. You promised to never let his hibiscuses get crushed. This is entertaining, keep it up. Simple story, yet very engaging. Deep lessons portrayed. Keep it up. Simply beautiful! I have read 8 stories in 2days. You should write a book! Wow! I love this Phidelia. Keep bringing it on! Ohh Philly will u ever make me less proud? This writing is really great. This is so heartbreaking, and so human. It reminded me of a poem by Yrsa Daley Ward about her parents still being together on her face. Love it. it’s actually a poem by Warsan Shire. That line was inspired by the poem. Thank you babe. I think this is beautiful and i loved it.